This invaluable little book highlights the real mistakes that students make in the exam - and shows how to avoid them. Based on analysis of thousands of exam scripts, each unit targets a key problem area. Clear explanations and exercises help students to use the language accurately. Regular tests offer students a further opportunity to check and consolidate what they have learnt. 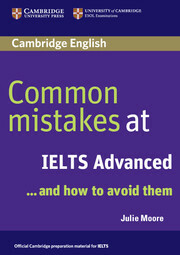 • Highlights common mistakes that learners really make. • Based on analysis of thousands of exam scripts. • Short, snappy explanations focus on key problem areas. 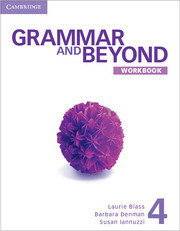 Based on extensive research, Grammar and Beyond ensures that students study accurate information about grammar and apply it in their own speech and writing.